When you’re already using it, the city sewer system is a convenience that’s easy to take for granted. Tap into it for the first time, though, and you’ll find there’s more to it than flipping a switch. Whether you need a sewer tap for a new house or because you’re tired of your septic tank, understanding how these fittings work can save you time and hassle. 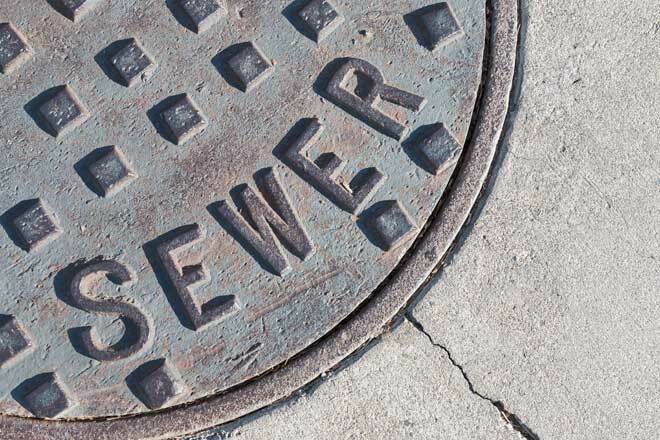 A sewer tap is the connection between your home’s sewer lateral (waste water line) and the municipal sewer system. The pipe fitting that forms this connection lets waste water from your home flow into the sewer system, so you don’t need a septic tank to hold it. It also forms a seal that prevents waste water from escaping into the ground. If you’re building a new house or switching your existing house from a septic tank to the municipal system, you’ll need to file for permits and hire a plumbing contractor to have your home hooked up to a sewer tap. Connecting to a municipal sewer system isn’t a cheap or quick project. The cost of permits and labor vary widely by location, but typically come to between $3,000 to $10,000. Chances are, the sewer tap for your property has already been installed by the city, and is capped off and waiting until someone needs it. In this case, you’ll need to apply for permits to use the tap, then hire a contractor to make the connection. If no sewer tap is in place, either the city water utility or your contractor can probably install one for you. There’s a limit to the number of taps a city sewer line can support, though, so it’s possible you won’t be able to tap into your city’s system. This is one of the main reasons so many homes end up using a septic tank. Before you consider hooking your home up to the sewer system, call your local water utility and ask if a sewer tap is available for your address, where it’s located, and the cost of the tap fee. When you’re sure you’ll be able to use the city system, you can start looking for plumbing contractors licensed to perform sewer taps. Your city water utility might even be able to give you a list of licensed contractors. While some contractors take care of all the permits for you, others require you to do the paperwork yourself. If you need to arrange the permits yourself, typically you’ll first need to apply for a sewer tap permit and wait for the city to perform an inspection. The contractor might also require you to get a right-of-way permit before they can start work. Once all the paperwork is in order, your contractor will come install a sewer lateral that extends from your home to the municipal sewer main. The job requires the contractor to dig a trench for the pipe, so prepare for some damage to your lawn. If your sewer lateral is already in place, the contractor will try to align it with the sewer tap to avoid having to move it. If you have a septic system, the contractor will close it, usually by filling it with sand or gravel. The majority of the work can be done in one day, although it might take longer than eight hours. After the work is done, the tap must be inspected by the city health department or another appropriate authority to ensure your home’s sewer lateral and the sewer tap are correctly installed and that the septic system, if any, is properly closed. Your sewer tap is considered part of your home’s sewer lateral, so it’s up to you, not the city, to maintain it. For the most part, though, the tap itself requires next to no maintenance. Protecting it from damage is mostly a matter of keeping your lateral free from clogs. Over time, even well maintained sewer tap fittings wear down or work loose and need to be replaced. When this happens, you might not realize anything is wrong until you get a letter from the city inspector. In other cases, a plumber clearing out a clog or repairing a leak in your sewer lateral might spot a problem with the tap. This is one reason an annual plumbing inspection is so valuable. Your plumber can use video inspection equipment to check over your plumbing system and let you know about any developing problems with your sewer tap or other parts of the system. This way you’ll have time to plan for repairs. The plumber can also tell you what might have caused the damage, so you can prevent it from happening again. If your sewer tap fitting needs to be replaced, a licensed contractor can do the job, then arrange for city inspectors to come confirm that everything is up to code. Tapping into your city’s sewer system can save you the trouble of maintaining a septic tank. While the work itself only takes a day, you might need a few weeks to get through all the red tape involved. If you’re considering having a sewer tap installed, start by talking with your local water utility to find out if it’s possible and what kind of permits you’ll need.